We know how much you love your dog as I do mine. Every precaution is taken to look after your best friend to the best of our ability. We board 10 dogs to truly and effectively look after every need they might have. Each dog is an individual and has his/her own requirements. 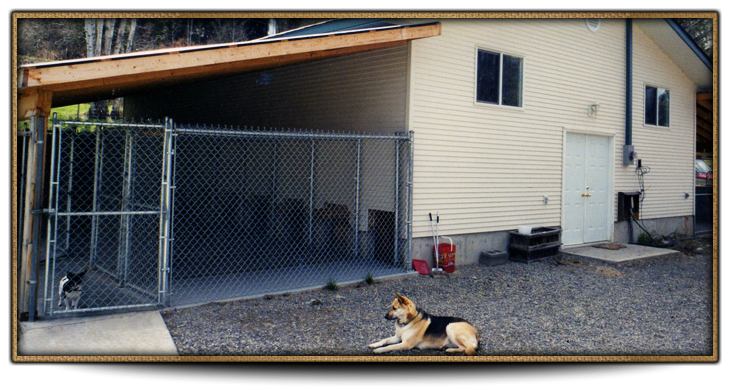 The kennel building itself is bright and roomy. The inside runs are eight feet to accommodate crates and large dog beds. The inside runs are covered with heavy rubber matting to protect your dog against the cold floor. The outside runs are twelve feet and covered with an exercise http://pharmacy-no-rx.net area running off of them. There are also two large exercise areas for the energetic. A third very large yard has just been completed to provide a very secure area for games such as chuck it etc. The dogs are cared for as to their specific needs. The older dogs prefer quite walks whereas the young and vigorous we offer walks and exercise areas to run off that extra energy to keep them happy and healthy. Please note that dogs are not intermixed unless they are from the same family. All dogs are walked on leash only.